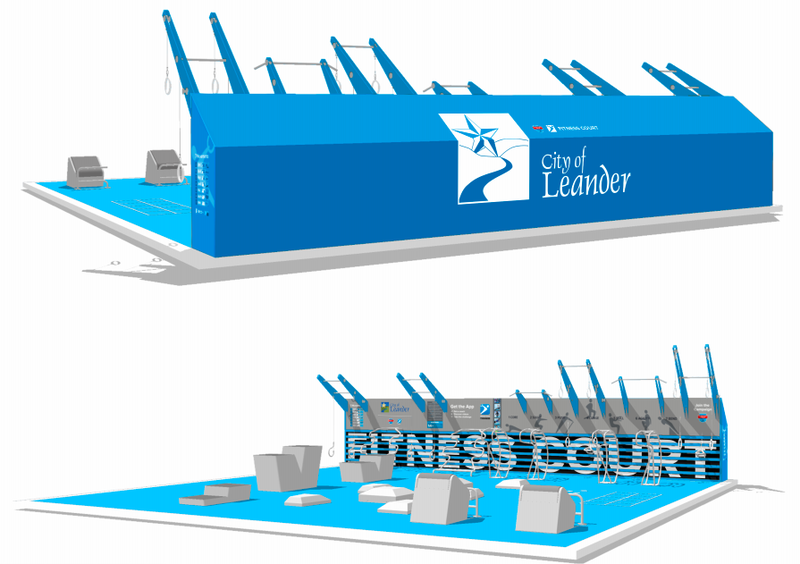 The Leander Fitness Court is NOW OPEN! 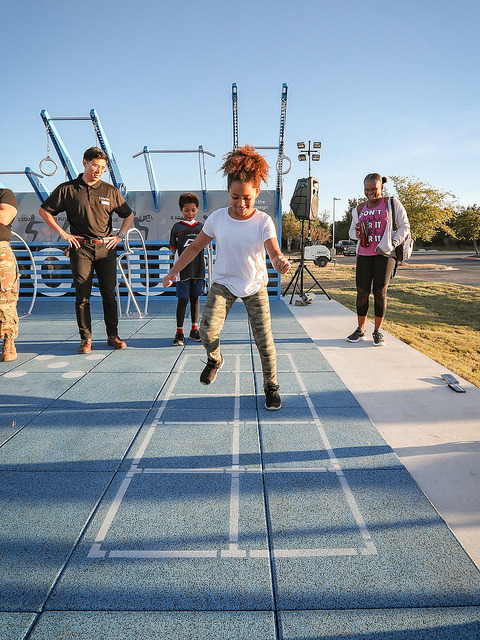 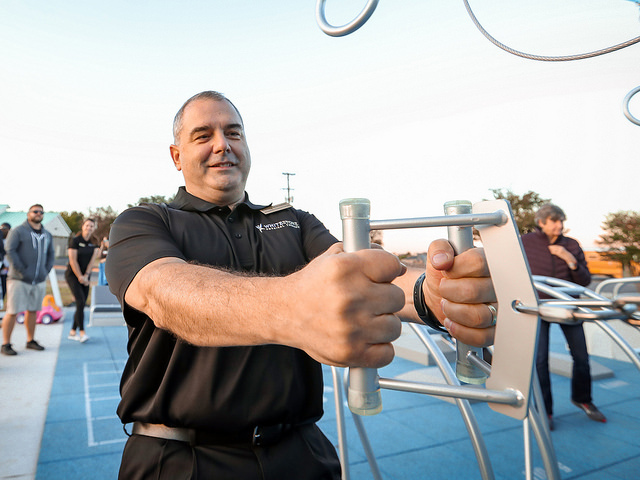 Leander, Texas is the latest one of 100 cities across the country to install a Fitness Court in 2018! 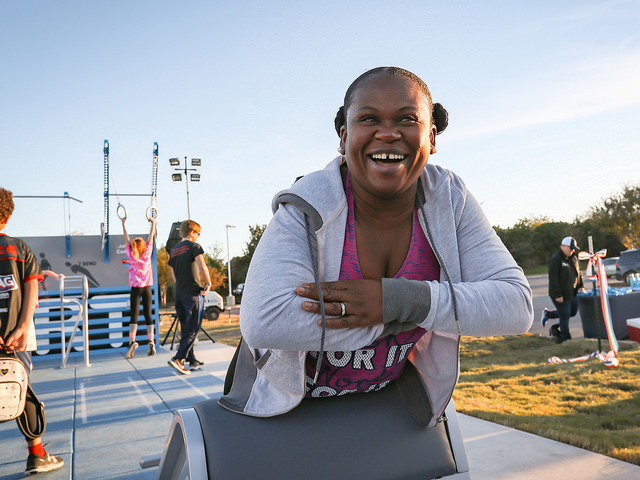 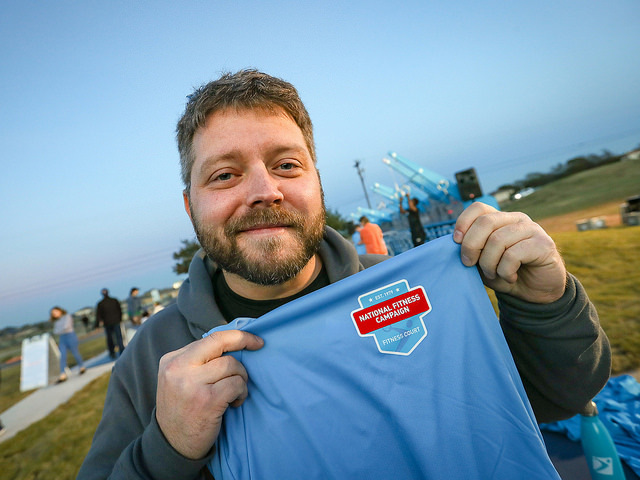 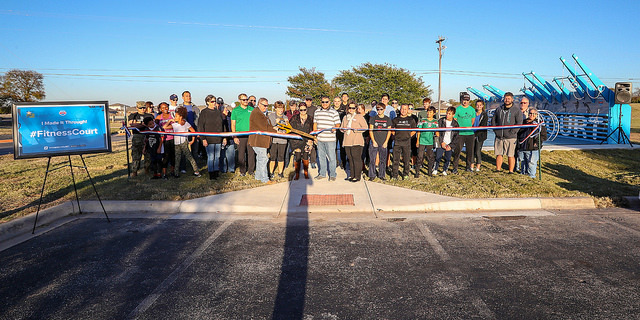 Located just north of Austin, this city is first in the metropolitan area to join National Fitness Campaign in making fitness free and accessible for all in their active community spaces! 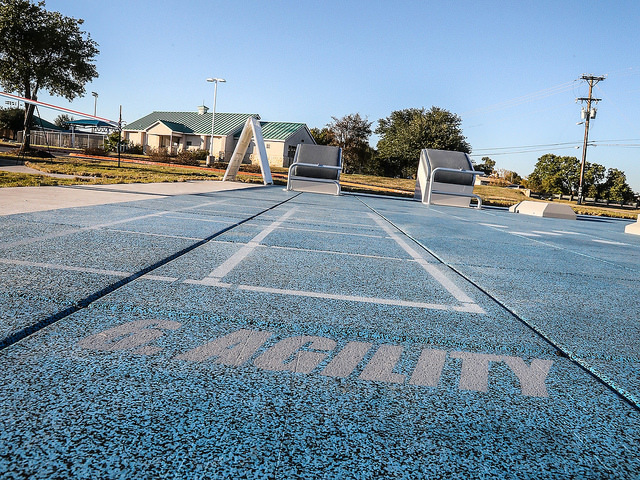 This modern outdoor facility is available to adults of all ages and fitness levels in Leander’s beloved Robin Bledsoe Park. 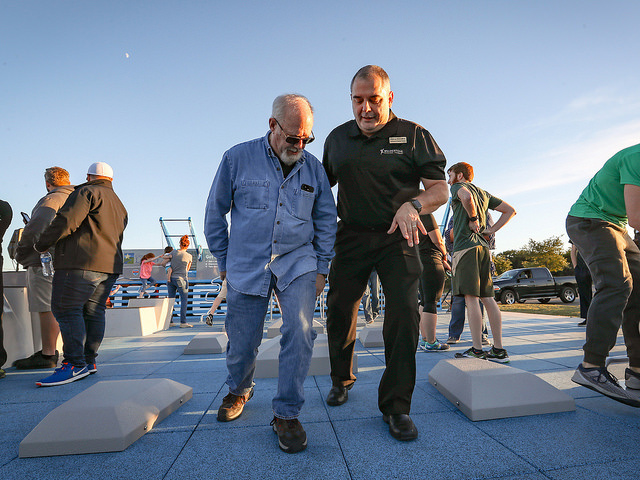 Locals say this park has it all! 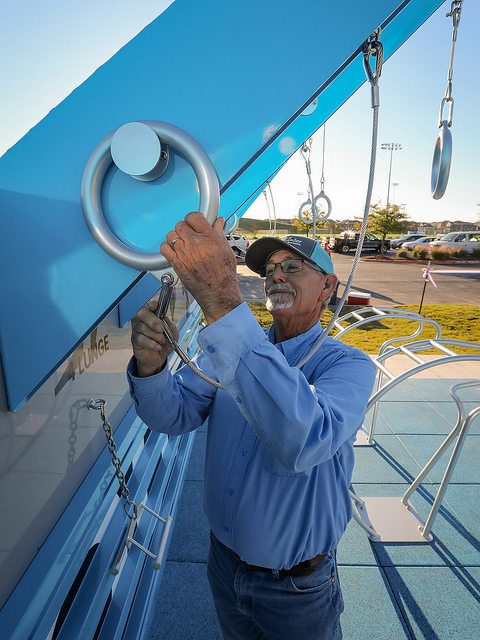 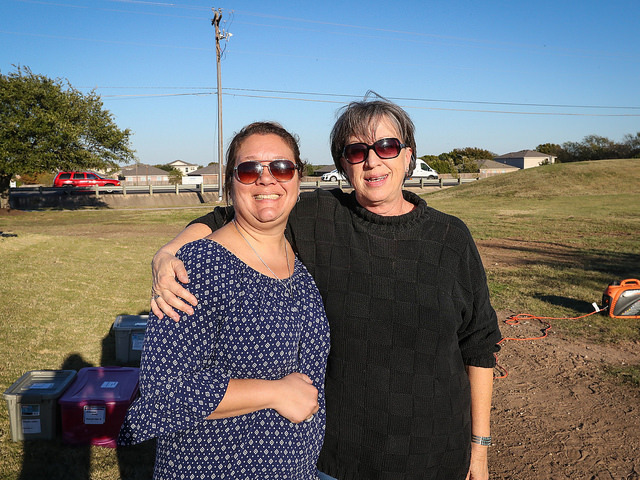 Robin Bledsoe’s 16 acres feature multipurpose athletic fields, a children’s playscape, swimming pool, splash pad and many more recreational amenities for the betterment of all residents. 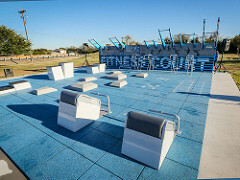 This hub for outdoor activity, is the perfect home for the new community Fitness Court! 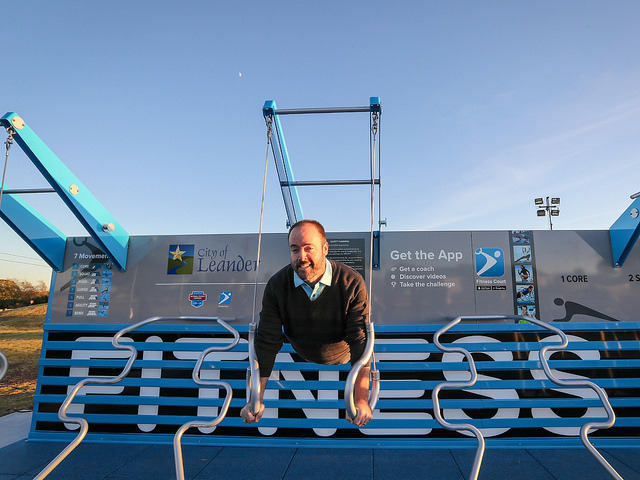 With a supporting coach-in-your-pocket mobile app, and seven simple bodyweight stations, the Fitness Court is a complete wellness ecosystem — all completely free to use! 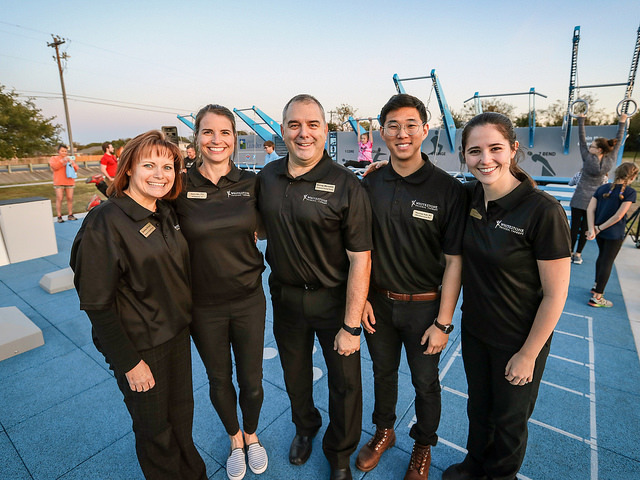 THANK YOU LEANDER FOR PUTTING FREE FITNESS ON THE MAP! 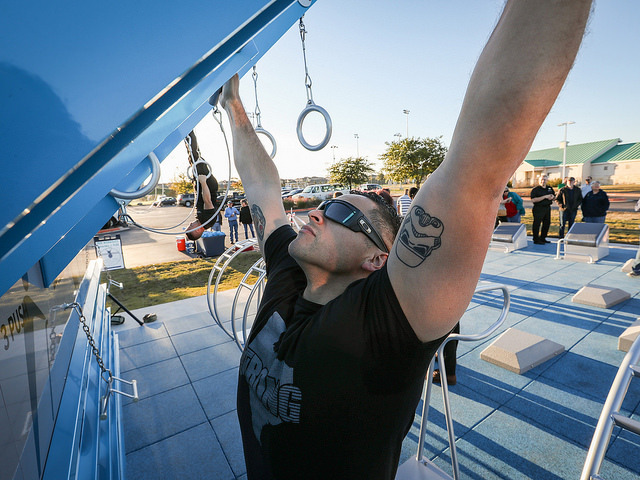 Sign up below to receive news and updates from National Fitness Campaign. 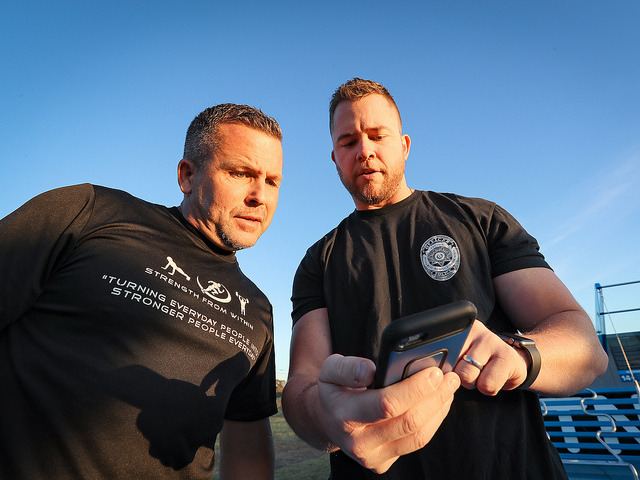 We respect your privacy and will never share your email address with any external organization.